J.G. Parks & Son, Inc. has a team of well-trained mobile technicians who can bring some of our in-house capabilities to your location. Several of our well-equipped service trucks have boom cranes and auxiliary devices to assist in performing difficult onsite repairs. 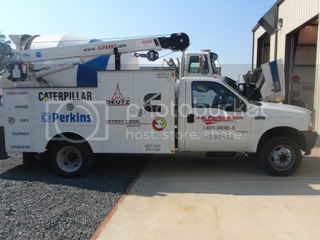 Whether you're in need of repairs on large equipment, generators, or an inoperable truck, we would be happy to provide you with a competitive quote.